Previous Hunkering Down For Rest Next Antagonistic At First, But Then Only Watchful? hi my name is nikki i am a 11 year old girl who lives near coyotes i just found that out today and i hear the coyote howel tonight and i was in the woods and my friend cory hear a twig snap and i was wondering if a coyote can follow the smell a human and follow the smell and see were that person is. Yes, a coyote can follow the smell of a human and can find where that person is. But coyotes are not very interested in people, so they will leave you alone unless you interfere with them. If one comes too close to you, scream your loudest and angriest at it and flail your arms to scare it away. If you go out where there are coyotes, you should always be with an adult. Adults are bigger and coyotes are more afraid of them. Never go up to a coyote and never feed one. Coyotes are not generally dangerous to humans, but since they are wild animals who are looking out only for themselves, we cannot ever predict what they will do next. It is best not to get too close. I love to hear coyotes howling — but it is nicest to hear them from the safety of inside your home if you are only 11 years old! Hi my name is Neymar I am 12. I live on the mountain, and I wanted to know will a coyote come straight at you or will it go away When it sees you? Hi Neymar — Thanks for writing! Coyotes, for their part, try their hardest to stay away from humans — a coyote will not come straight at you. It might stop and watch you because it is curious, but then it will run off. Coyotes are afraid of humans. For our part, it’s important for us humans to stay away from all wild animals, including coyotes, to give them their space. We should never approach a coyote — this is a job all humans have when they are out in nature. 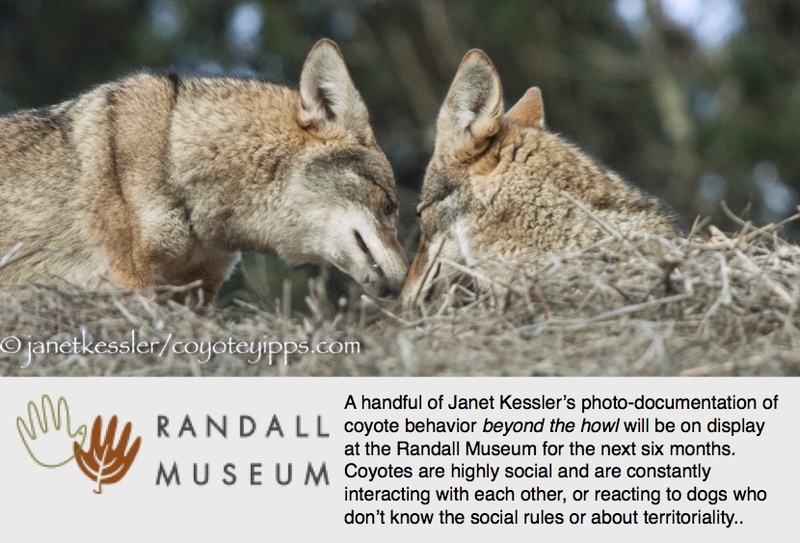 You might like the video about “Coyotes As Neighbors” — press here to see it: http://youtu.be/euG7R11aXq0. One important point we try to teach everyone is never to feed a coyote. Feeding implies friendship to humans, but to a coyote all it means is that humans might have more food, and this could cause them to come up to humans. Coyotes don’t want friendship, they just want the food. That’s why it’s important never to feed one. One more question. Will a coyote attack a dog if the dog barks at it? I’ve never seen a coyote attack a dog for just barking at it. Coyotes are interested in defending their territory and personal space. The reason a coyote might approach a dog and nip its haunches is that the dog came too close to the coyote’s personal space. If the dog is particularly active, this could further upset a coyote who is watching out for its territory. If you are with your dog and you see a coyote, you need to leash your dog and walk (never run) away from the coyote. Most of the time the coyote will flee first, but if it doesn’t, you should move away from it with your dog. There is no point in testing the coyote who really just wants to be left alone. Do coyotes smell better than a bloodhound? Do you see coyotes often? I don’t know which animal has better smelling capacity — both are pretty darn good! I see coyotes more frequently than other folks because I study them and document their behavior in the city. Hi,I know this is an old post but lastnight I took my dog in my backyard and I never do that time of night cause of coyotes.a coyote jumped the fence to grab my dog but thank God it was scared off by me before grabbing her. but our our fence is solid so the coyote couldn’t see if my dog is small or big. My question is can a coyote smell the size of my dog without seeing it? Hi My name is Justin Newman saw. A some kind of a coyote. It’s look like half coyote & jakel head. Creepying around at night near my sliding glass door by my. Bedroom I live by a wild life resort. At San deago county in Fallbrook,California. Hi Justin — We don’t have any jackals here in California, but it very well could have been a coyote. Coyotes are taking to more urbanized areas. Know that they’ll keep away from you — they are wary of people and try to avoid us. They may have been attracted to your yard by food that was left out, or even by the scent of a pet. Please remember to supervise your pets when they are out-of-doors if there are coyotes in your area. I have rather the same type of question about scent. There is a cement wash behind our house (Covina, CA) that functions as an easy way for a coyote to travel without being seen. We believe a coyote found our cat when it went outside early one morning a year ago. We have a new rescued cat, and it weighs 15 pounds. We’re reluctant to let him outside, but it seems cruel not to let him explore. My question is: can coyotes smell cats , even when they’re not in sight? I pretty much thought so, but I wanted to confirm. Bummer! Thank you, Mr. Yipps!